Thank you to everyone who played along with our Pretty in Pink challenge!! So many amazing entries it was quite the decision for the whole design team. Kimberly will be choosing this week's winner. 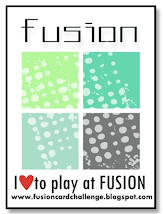 The gallery at FUSION just keeps getting more and more amazing!!! This is by far my favorite challenge. It was VERY tough, though I kept going back to this card with the sweeping elegant sentiment in white flowing through the soft watercolors. Lynn has done a FABULOUS job! Our next challenge will begin in one hour at 5am PST! Oh wow, thank you Michelle for choosing my card. Congrats to Lynn, and all the HM's. Thanks for chosing my card and making me smile this morning, Jeanne! Congrats to the other winners, such amazing cards! Hey Deanne!! Thanks for picking my card! 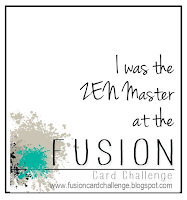 Excited to hang with the Fusion crew this month and be inspired by everyone! Congrats to the other winners-- love Lynn's card!! How exciting!!! I'm honored! 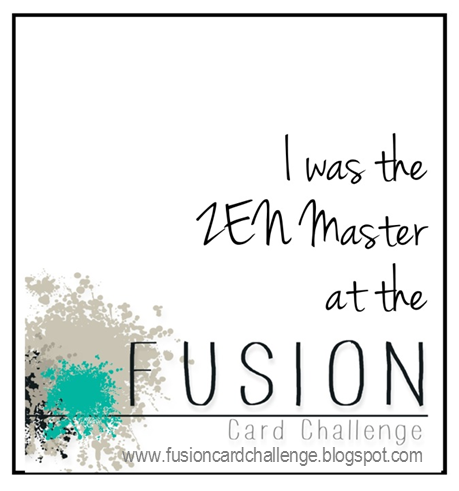 Thank you so much for choosing my card as Zen Master and congrats to all of the honorable mentions. Congrats Lynn ... that card also caught my eye. A beauty. Congrats to all HM too. Wow, so many amazing cards on display! 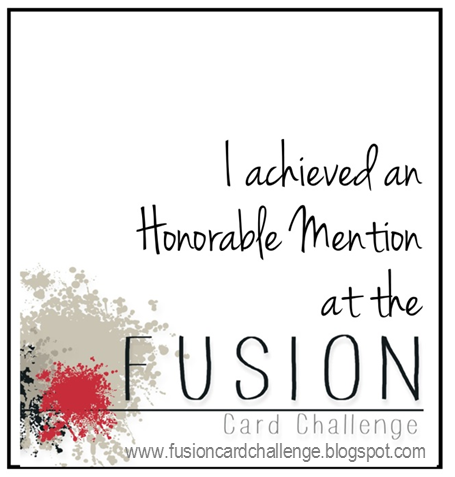 Thanks for the honorable mention, Katie. And congrats to all the other winnners. Thank you so much for choosing my card, Betty! Congratulations to all the winners, so much beauty on display. Lynn's card is really beautiful!!! Lynn's card was a favorite of mine, too! Congratulations to you, and all the HMs - thank you, Lynn, for liking my card - it was such a gorgeous challenge!